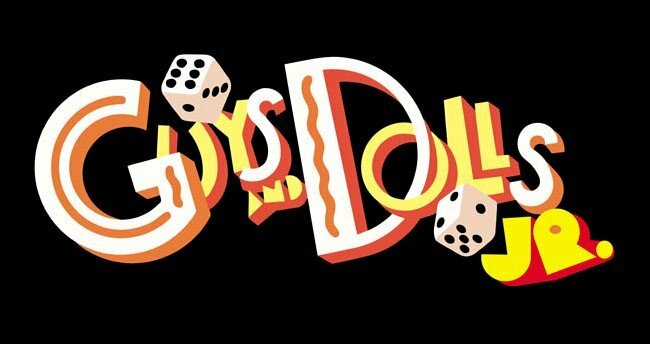 Welcome back to another weekly update of the Guys & Dolls Jr. Musical! Over the past week, the cast has made a lot of progress in terms of rehearsing scenes and doing full run-throughs. This week, during the afterschool rehearsal, the team completed a full run-through of Scenes 1-2! Inclusive of all the songs, dialogue and choreography, these scenes are starting to look well-prepared and ready to perform. The ‘Hot Box Girls’ have started practicing their song A Bushel and a Peck, which is coming along well. 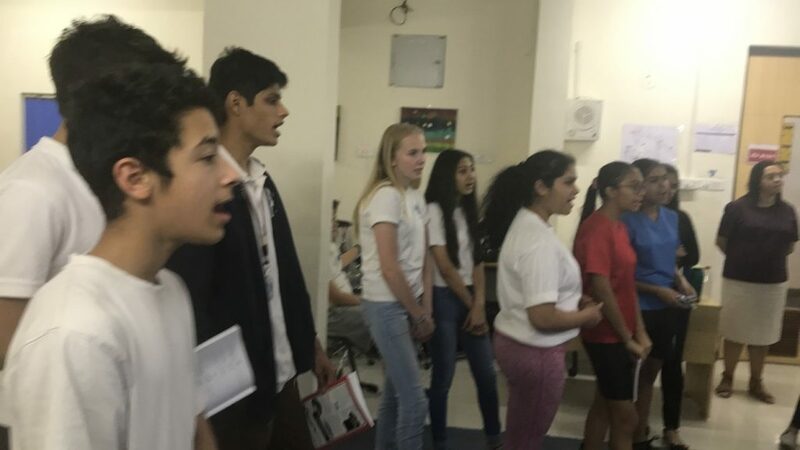 The main characters have started practicing all of their scenes– dialogue, blocking and singing. By the end of next week, the cast aims to do a full run-through of scenes all the way from 1-8. If they do so, half of the show will be rehearsed! Get ready to meet Arvide Abernathy, played by Miheer Potdar. Arvide is part of the Save-a-Soul Mission, just like General Cartwright and Sarah Brown. In fact, Arvide is Sarah’s grandfather and the bass drum player in the Mission Band– often seen during the song Follow the Fold, which is heard multiple times in the musical, and at the Mission. Stay tuned for more information and another character reveal next week!